Saturday, June 26, 2010, 3 - 4 p.m. at the Columbia Library, 4721 Rainier Ave S.
Peter Bacho, award-winning Filipino-American author, reads from his first young adult novel, "Leaving Yesler." 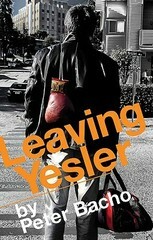 "Leaving Yesler" encounters seventeen year-old Bobby Vincente in the wake of his older brother's military death; faced with the challenge of caring for his aging father, this young man from urban Seattle's housing projects is forced to take control of his life and identity as he traverses a period of life-altering change marked by new interests, new challenges, and ultimately, new life. This program is presented in partnership with The Elliott Bay Book Co. Books will be available for purchase and signing.